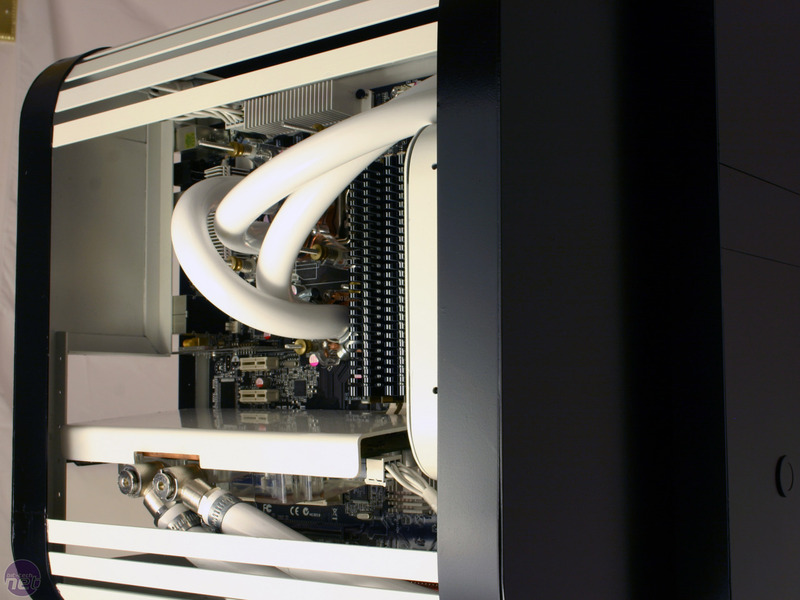 If there's one feature that sets Ultra apart from every other project this year, it's the fact that the PC itself doesn't sit on the floor, or even a desk. 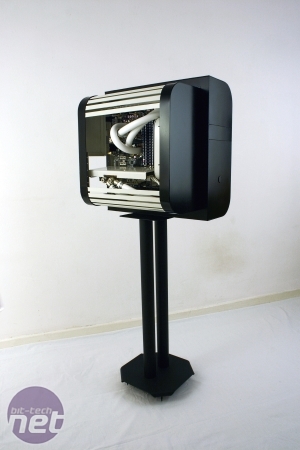 Instead, it has its own stand on which to perch, like a posh surround sound speaker. 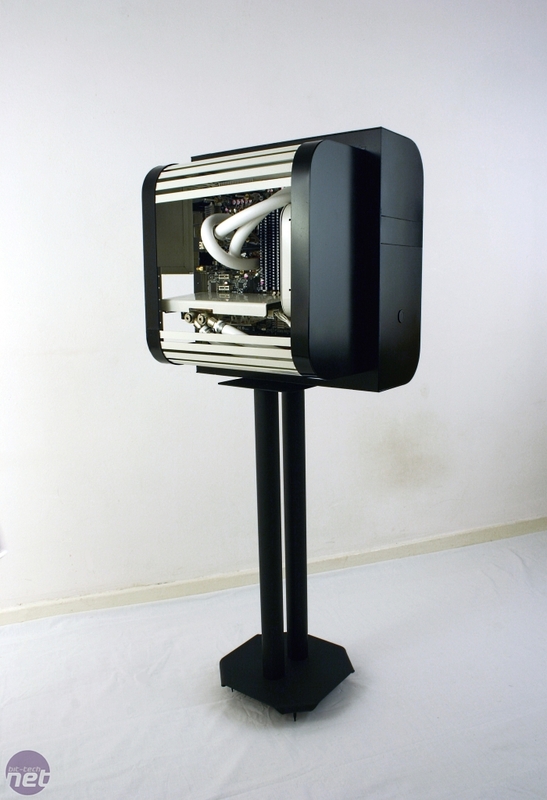 Thankfully, Ultra is equally as elegant as such a speaker, thanks to Peter Husar's early goal of hiding all the ugly parts in a separate compartment, and focusing our attention on the unique aesthetics and attractive aspects of the PC. 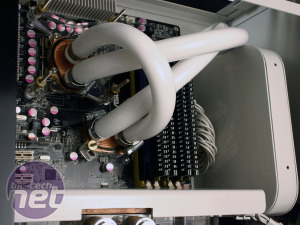 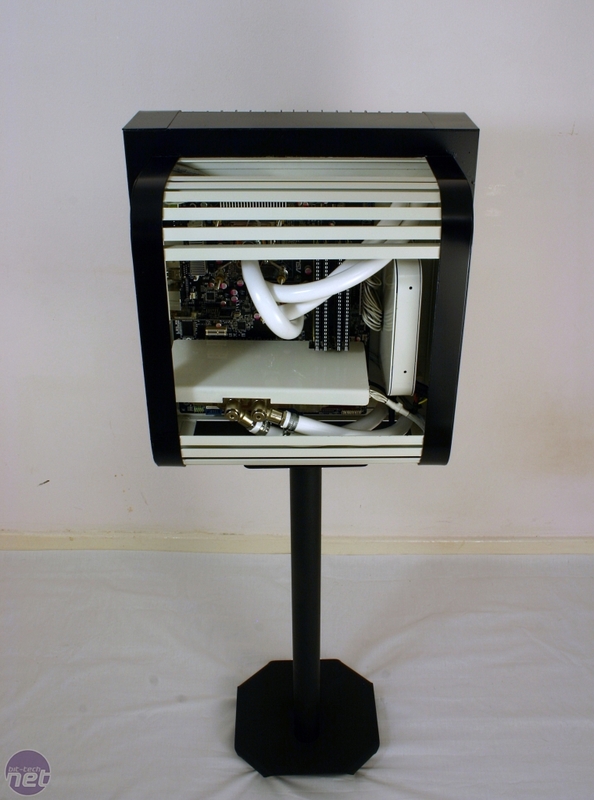 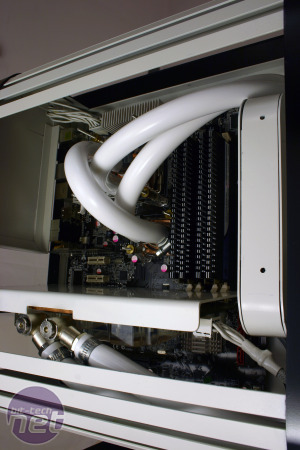 These included Ultra's water-cooling loop with its distinctive white tubing, as well as the graphics card housed in its white acrylic shroud. 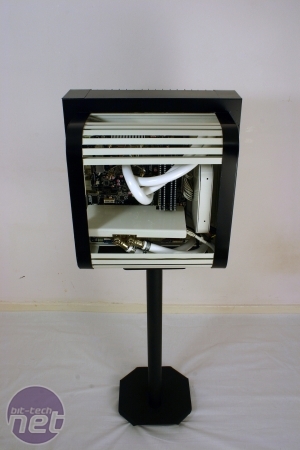 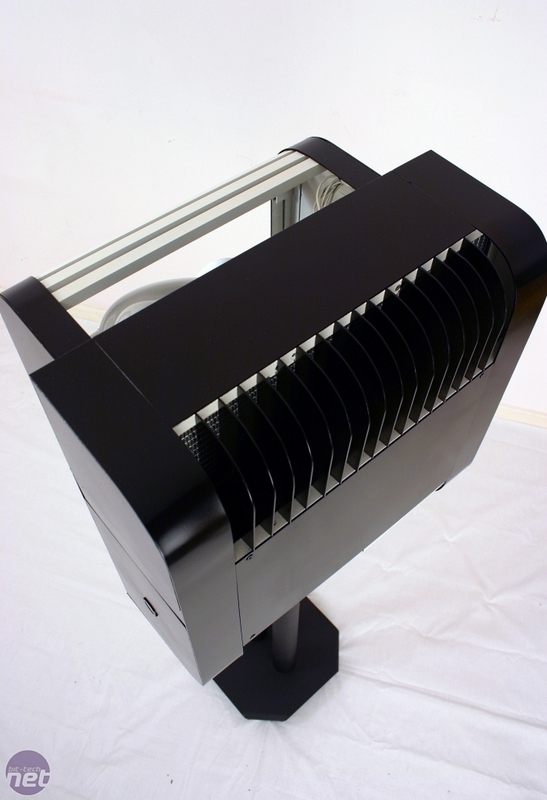 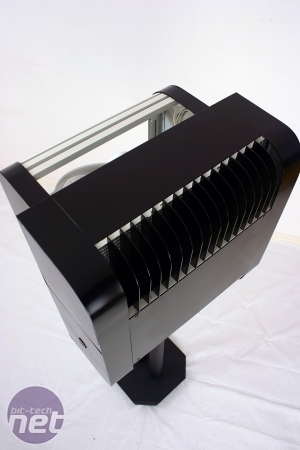 Meanwhile, the PSU, pump and radiators were housed in a slightly larger section, with stylish vents masking the radiator at the rear. 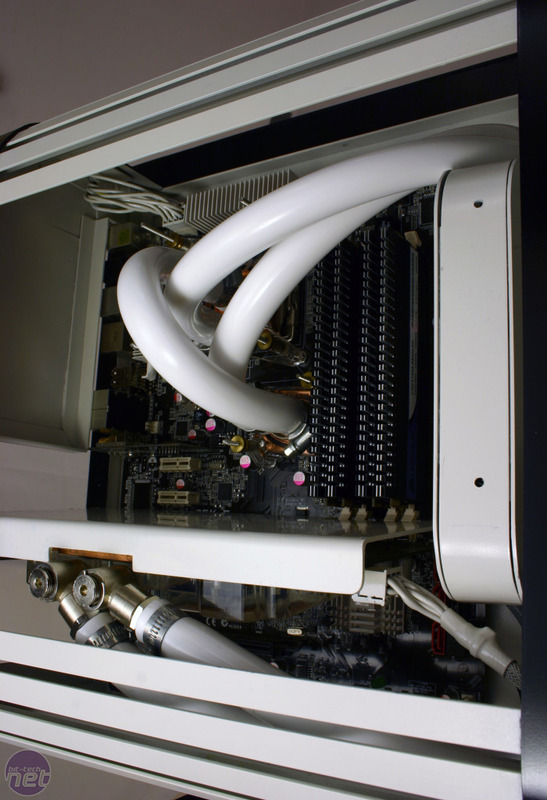 There are definite Art Deco touches in Ultra's styling, but the black and white contrast coupled with the modern inclusion of water-cooling and PC hardware make it a unique and eye-catching project.